Painting your home can be an adventure. Discuss your color preferences and purpose of each room before making a decision. Hire a reputed painter to help you paint your home in a way that brings out your personality. When you lived with your parents, they primarily decided the colors of the home. When you lived in college dorms, you couldn’t undertake painting adventures on your own. And, when you lived in rented apartments, it had to be neutral colors to suit the landlord’s prerogative. But, now that you are married, the place that you call home should be remarkable and romantic. Make your Home Beautiful with Colors! Painting a home doesn’t mean selecting one color and painting all the rooms with it. It is not as simple as it looks. You have to consider the purpose of each room and then, make a choice. If you have a dining room that you will use for entertaining guests, it is best to go for colors that make the room elegant as well as create an illusion of space. Ask your painter to give a wooden finish to the floor to make it look sophisticated. On the other hand, the bedroom is your personal space. Seek inspiration from things that attract both of you and paint the room in rich hues to make it romantic. Families often have arguments about choosing the colors for the home. But, it is important to remember that even though you are a family, you are not the same person. All of you will have different choices. And, if you want the home to be beautiful, you will have to consider each other’s choices. If your spouse loves the color pink and you like the neutral shades of brown and grey, you can make it work. Ask your painter to provide you with color palettes that include your favorite colors. Usually, a reputed painter has a team of color consultants who work closely with homeowners to solve their dilemmas. You can ask the color consultants about your color choices and make things work. Painting is not only about giving a fresh look to the walls. You can a have a piece of furniture, a painting or a wall-hanging to be the center of attraction. Don’t just restrict the look of the bedroom with candles, hang a few photo frames to make it more personal. You can put up pictures of your wedding, honeymoon or other events that are special to both of you. Once you decide on the thing that will be center of attraction for a particular room, you can decide on the color of the walls. 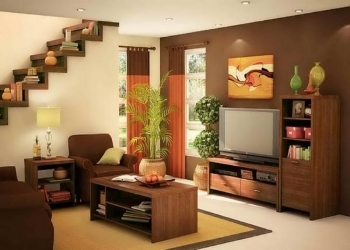 Make sure that the color complements the accessories and the furniture of the room. Painting the home can be your very first adventure that you embark upon as a couple. So, it is essential that you spend adequate time on planning. When it comes to painting, patience is the key. Talk to your painter and ask him to give you suggestions. Research online and discuss with your spouse so that your home brings out both your styles and personalities. Perfect Painters Toronto will give a new color to your home. We specialize in residential painting as well as commercial painting. Contact Toronto’s reputed painter to make your home your paradise. Painting over Existing Wallpaper: Should you choose the Shortcut?